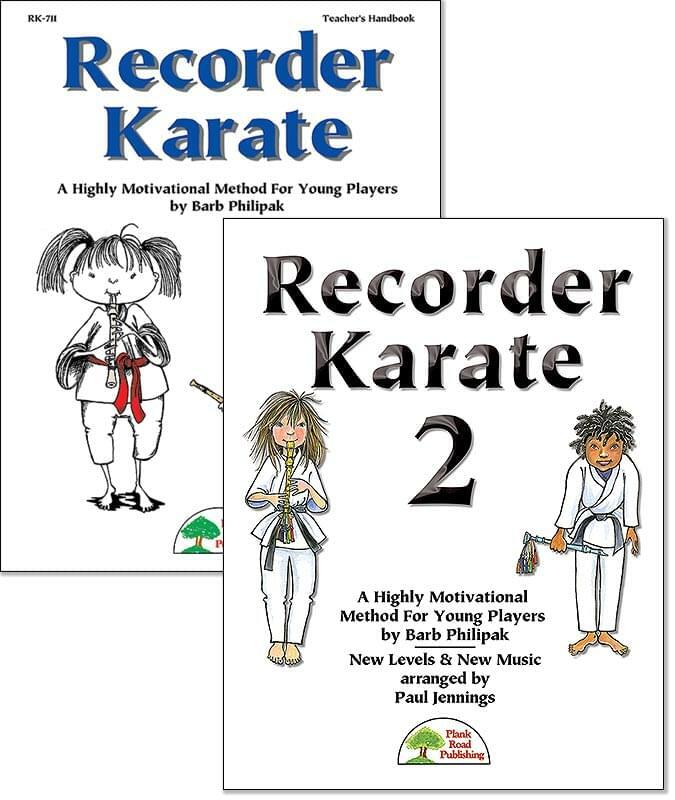 Review/Sequencing - Addressing the teaching sequence in the first volume of Recorder Karate and providing options for tune substitution in both volumes, this section includes: Doggie Doggie, Four In A Boat, Arirang, Red River Valley, and The Water Is Wide. Black Belt Degrees - Nine new arrangements, carefully sequenced with gradually more difficult technical challenges, including: The Wedding March (Wagner), Old Joe Clark, On Top of Old Smoky, Can Can, America (My Country 'Tis Of Thee), Polly Wolly Doodle, I've Been Working On The Railroad, When Johnny Comes Marching Home, and Eine Kleine Nachtmusik. Advanced Music Beyond The Nine Black Belts - To provide substitution options and additional levels for more advanced players, including: Buffalo Gals, Aura Lee, Home On The Range, Rocky Mountain, Renaissance Dance (Susato), Largo from New World Symphony, and Take Me Out To The Ball Game. Seasonal Music - New arrangements for holiday performance within the method style, all arranged with testing lengths, including: Jingle Bells, We Three Kings, and Shalom Chaverim (which also includes a round version). Concert Selections - As with the first volume of Recorder Karate, longer concert settings of some songs within the method, including an optional duet setting of The Water Is Wide, and a theme and variations on Four In A Boat. The music is all fully orchestrated, and includes folk songs, classical works, old favorites, and tunes from around the world. Don't miss this powerful resource!